Rainbows have perhaps become every artist’s source of inspiration at some point. The rainbow, an ordinary meteorological phenomenon, an illusion created by the separation of white light, consists of colors that every artist use. And if you’re wondering “why are there so many songs about the rainbow”, just like how Kenny Loggins song goes, Ryan McGiness, a New York-based artist, may have an answer to your question. There’s no other artist who plays with colors of the rainbow like how McGiness does. Ryan McGiness is an American artist from Manhattan, New York. 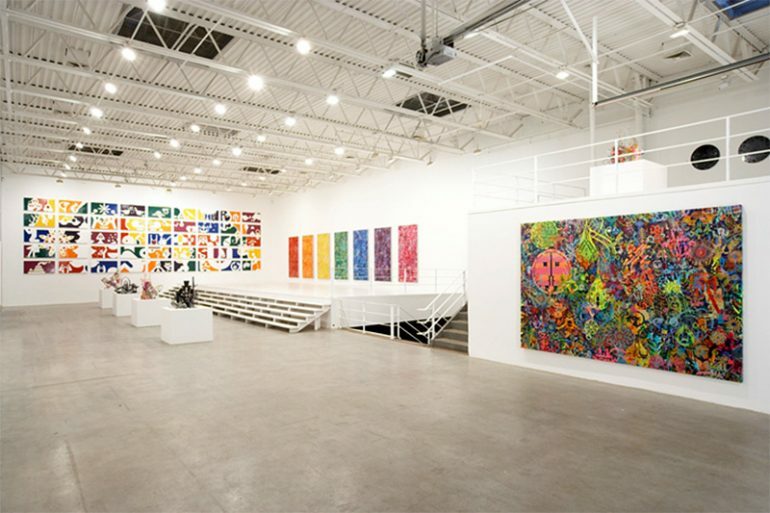 He possesses a distinct art style that involves the use of rainbow-colored geometrical figures. His sources of inspiration are as abstract as how his artworks are symbolic. 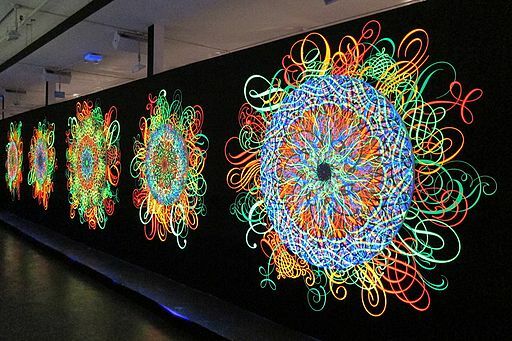 One of McGiness’ most notable works is “Untitled”, a 72-inch in diameter painting that is exhibited under black light. The mentioned artwork, being labelled “Untitled” by its own creator, is as mind-boggling as it sounds. “Untitled”, which dates back to 2008, showcases a variety of colors that explode from the center of the artwork towards the edges of the frame. Adding to another one of McGiness’ unnamed masterpieces is “Untitled”, a sculpture which was also created on the same year. The “Untitled” sculpture is created with welded aluminum coated with car paint. The accuracy of the geometric sculpture and the choice of colors are well-known trademarks of McGiness. “I get a symbol to the point where I’ve figured it out. Like visual puzzles, and I’ve solved the puzzles,” McGiness said. The artist also utilizes digital vector techniques to produce his artworks. His vector artworks, which are mostly colored in black in white, are published in his website, ryanmcginess.com. Like all artists, McGiness has a lot of messages he wants to communicate through his colorful artworks. In an interview with Big Think on 2012, McGiness verbalizes his thoughts.